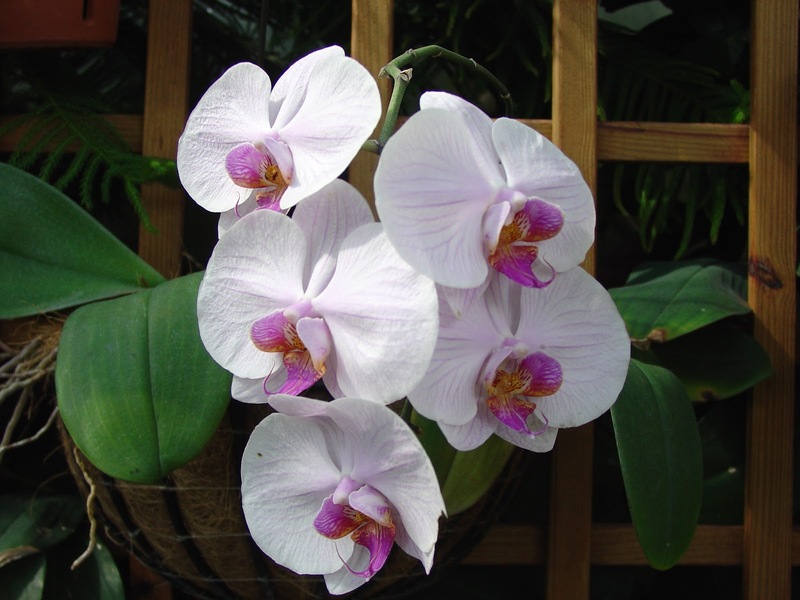 A free-flowering epiphyte, the moth orchid blooms throughout the year. Its branched spikes bear up to 30 flowers at a time. 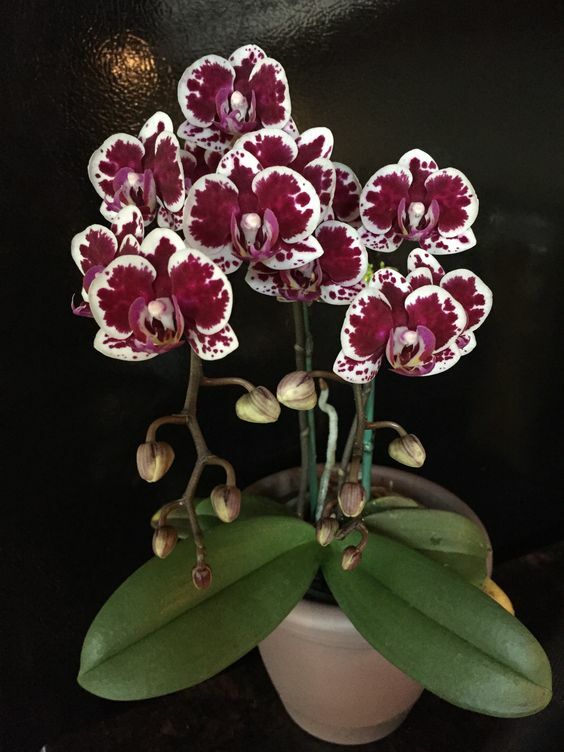 Individual blooms can be as much as 5in/13cm wide, but in many varieties they are smaller. The flowers vary in colour from white through pinks to red and yellow, often with stripes or spots. 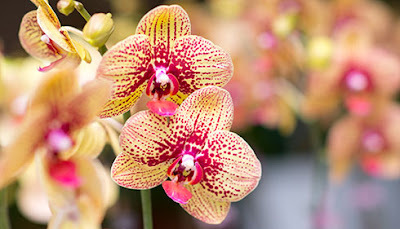 The moth orchid tends to suffer if conditions are too cool. The movement of air from an electric fan, combined with a humid atmosphere while the plant is in bloom, will help. Numerous hybrids are available, and the number is increasing each year. HEIGHT: Foliage to 8in/20cm; flowers to 4ft/1.2 m.
POTTING MIX: Special orchid medium. REPOTTING: About every 2 years, when the current pot becomes crowded. KEEPING PLANTS: These orchids grow well in wooden or wire baskets that have been lined with sphagnum moss. Bright filtered light or partial shade. Normal room temperature, with a minimum of 70°F/1°C. Apply a special orchid fertilizer once a month all year- round; overfeeding will produce leaves at the expense of flowers.